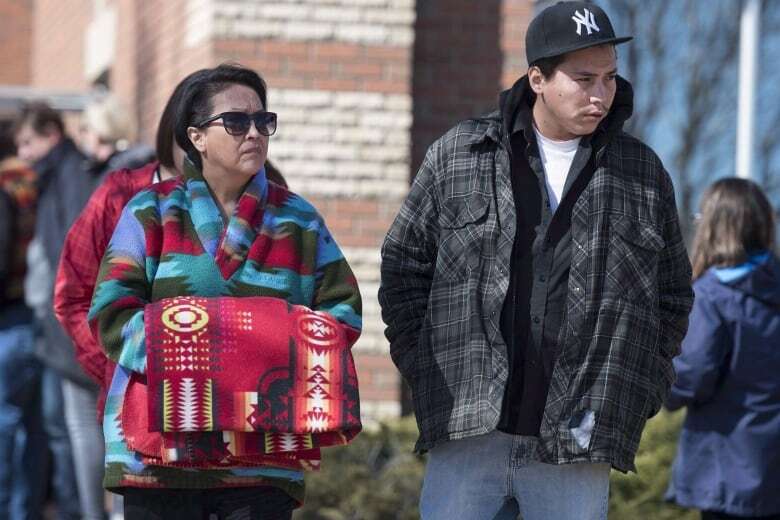 The family of Colten Boushie says the acquittal of the man charged with murder in his death is just the latest in a series of disappointments and frustrations they’ve experienced over the 18-month investigation and subsequent two-week trial. A light rain fell outside the North Battleford, Sask., provincial courthouse the morning of Aug. 11, 2016, as the man accused of killing Colten Boushie made his first appearance. It was the Boushie family's first chance to see farmer Gerald Stanley. But on that day, no one from the Boushie family was there. 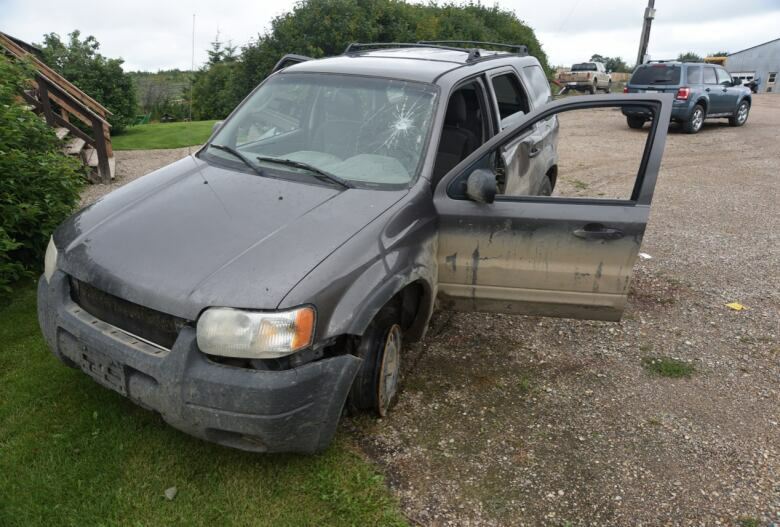 They were a 25-minute drive away at the Red Pheasant Cree Nation. They say they would have been there, but no one told them about it. The Crown prosecutor at the time said he assumed RCMP would inform the family of Stanley's court appearance. "Things need to change," North Battleford lawyer and Boushie family adviser Eleanore Sunchild said at the time. In a written statement to CBC News Monday, Saskatchewan RCMP said they realize the importance of giving family information about court appearances. 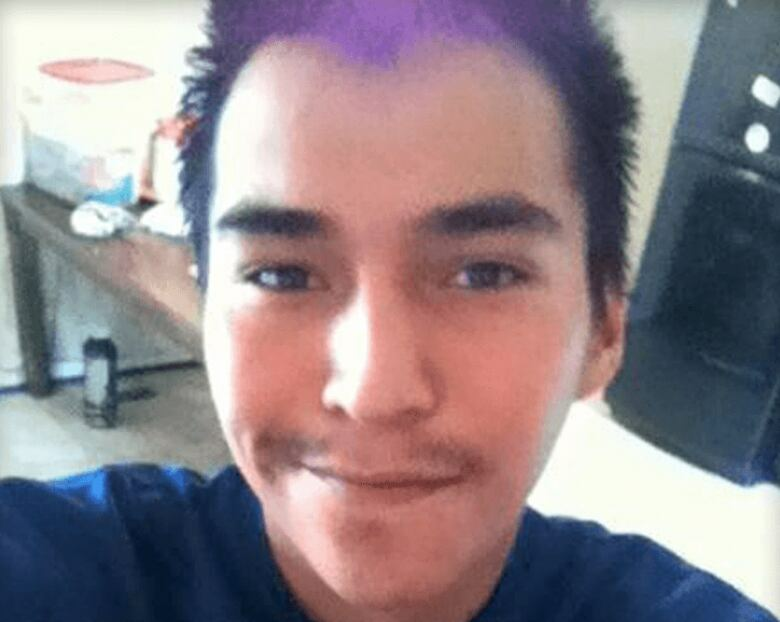 They said they did try unsuccessfully to reach Boushie's mother, Debbie Baptiste. "Officers were in touch with a family friend who reached Ms. Baptiste," the statement said. "However, by the time they reached Ms. Baptiste, court was already in progress." Stanley was acquitted Friday following a two-week trial. 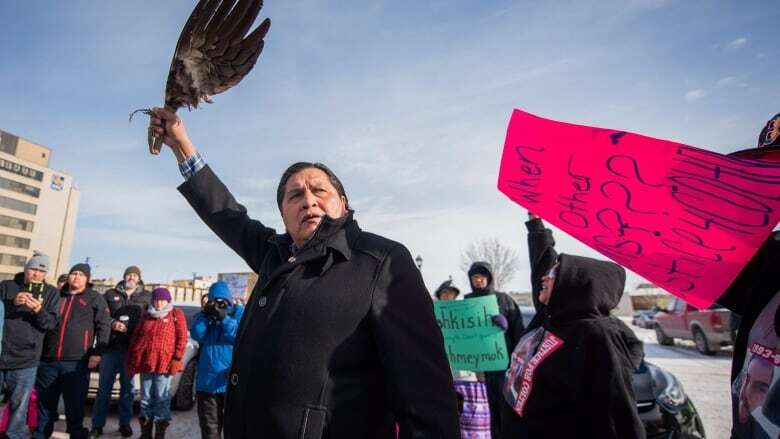 Rallies were held across the country over the weekend attended by thousands of people outraged by the verdict and the absence of visibly Indigenous people on the jury. Prime Minister Justin Trudeau said Canada has "come to this point as a country far too many times. Indigenous people across this country are angry. They're heartbroken. I know Indigenous and non-Indigenous Canadians alike know that we have to do better." The Boushie family, Sunchild and others have flown to Ottawa to take him at his word and demand changes to the justice system. Over the past 18 months, they say, they've been angered by the way the case has unfolded. They say some of the actions taken during the investigation were disrespectful while others may have affected the outcome. They say they want "justice for Colten" and don't want other families to go through what they have. "We saw a judicial system that continues to fail Indigenous people all across the country," Boushie's cousin, Jade Tootoosis, said after the verdict. Debbie Baptiste said she was notified of her son's death when multiple RCMP cruisers pulled up to her home. The officers said later they'd received a tip an armed person might have been in a trailer matching the description of the one Baptiste lived in. Officers entered the home, weapons drawn and gave her the news. She said that as she writhed on the floor crying, one officer told her to "get it together" and then asked, "Have you been drinking?" In Monday's statement, the RCMP said it was not officers' intention "to cause any additional pain." "The response to any major incident is often dynamic and complex. 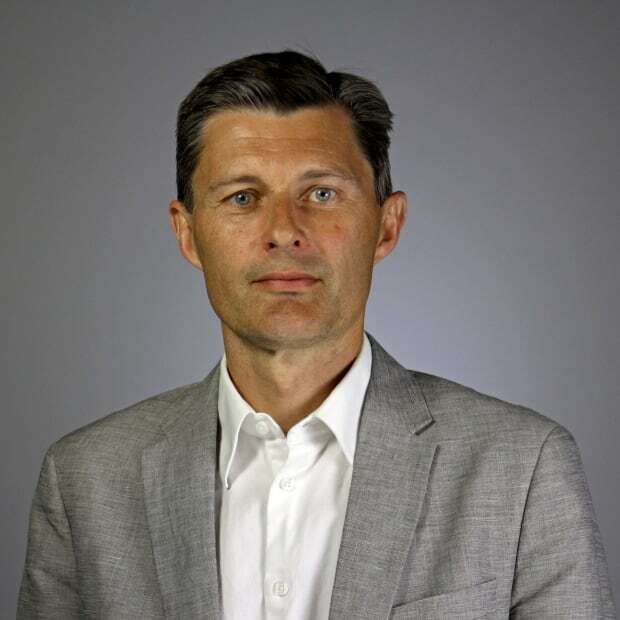 In addition to doing the NOK (next of kin) notification, the officers also had to ensure there was no risk to officer and public safety," the statement said. An officer testified during the trial that while still investigating the crime scene, the RCMP had not covered the vehicle in which Boushie was shot or the area around it with a tarp or other protection. It rained heavily overnight, washing away blood, foot prints and other evidence. 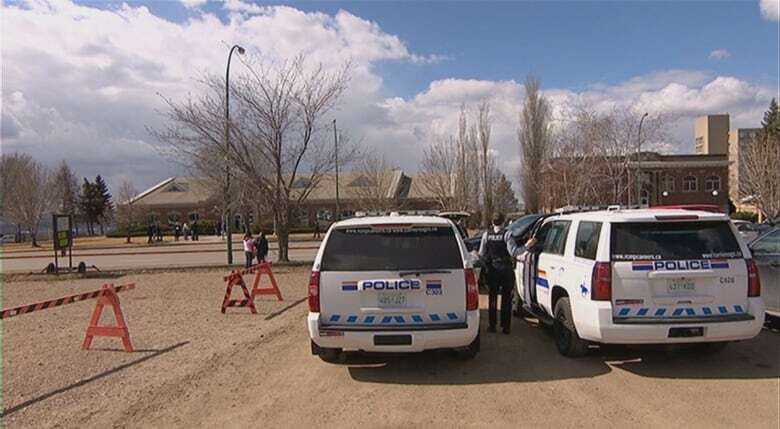 The RCMP issued an initial news release that some interpreted as "victim-blaming." It mentioned the killing but also stated some of those present were subjects of a theft investigation. That release emboldened those who believed protection of property justified the killing, the Boushie family said. On the first day of the preliminary hearing, family members complained security was "excessive," with barricades, RCMP photographers on rooftops and other measures that they said served to intimidate those who gathered to rally and advocate for justice. The visible RCMP presence was later scaled back. In Monday's statement, the RCMP said they try to ensure public safety by conducting "a thorough risk assessment and deploying resources accordingly" and that "this process was followed in this case." Hundreds of hateful, often racist messages were posted on social media in the weeks following Boushie's death. Saskatchewan Premier Brad Wall called for calm. Despite a public warning that online comments could result in criminal charges and RCMP saying they spoke with the provincial Crown about some of the posts, no charges were ever laid. Crown officials declined to say whether they recommended charges to the provincial justice minister, who is required to give consent. In their statement Monday, the RCMP said they investigate hate speech but that it's the justice minister who makes the final decision about whether to prosecute such cases. They said they are monitoring new comments made since Friday's verdict and will inform the public of any charges. 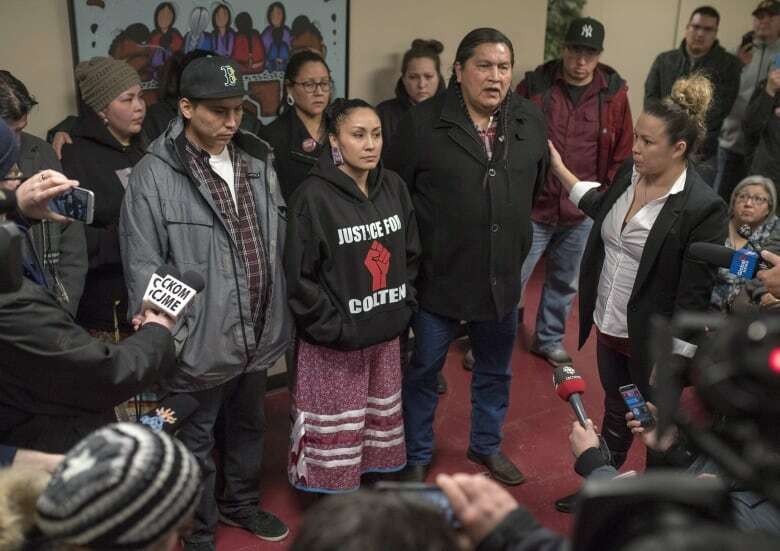 An internal RCMP investigation cleared officers of misconduct after the Boushie family complained about their treatment the night they were told Boushie had died. In an Oct. 19 letter to the family, RCMP Supt. Mike Gibbs apologized for the officers' actions, conceding they "could have been perceived as insensitive" but said the force used was acceptable given the "safety risks." "It's like we don't have no rights at all, just sweep us under the rug, kick us under the bus, just move on, forget about what happened. That's how they look at it. Just another Indian," Boushie's uncle, Alvin Baptiste, said at the time. In Monday's statement, the RCMP said the force followed the RCMP Act and investigated when the family laid a complaint and that if the family was not satisfied with that process, they could take the matter to the Civilian Review and Complaints Commission for the RCMP. The provincial government declined the Boushie family's requests for an out-of-province lead investigator and Crown prosecutor. "It is a prosecutor's duty to prosecute all cases based on their merit under the Criminal Code of Canada. I am confident that counsel assigned to this case will do so appropriately," Justice Minister Gordon Wyant said in a statement last July. The jury in the Stanley trial appeared to contain no visibly Indigenous people. During jury selection, the defence team used so-called peremptory challenges to exclude five potential jurors who looked like they might have Indigenous background. In Canada, lawyers don't have to give reasons for excluding jury candidates. On Monday, Justice Minister Jody Wilson-Raybould announced the Liberal government will review the system of peremptory challenges. Great Britain abolished peremptory challenges in 1988, and the U.S. Supreme Court has ruled that such challenges cannot be used to exclude jurors based on race or gender. Some legal experts say Canada should do something similar. "It invites bias on the basis of race," said Steven Penney, a University of Alberta law professor and co-author of Criminal Procedure in Canada. "It's not a value we should allow in our system. This case is highlighting those flaws." On Monday, newly elected Saskatchewan Premier Scott Moe said he and Justice Minister Don Morgan met with the Boushie family and heard their concerns. "These are difficult discussions for us to have, whether it's on racism or crime," Moe said. "This is a challenge. I can commit to the people of Saskatchewan that we will have those discussions. It won't be easy, it won't be done quickly, but we will find a way forward." Stanley's lawyer, Scott Spencer, has not commented since the verdict. In a statement on the eve of the trial, he said the case is about facts and is "not a referendum on racism." Saskatoon criminal lawyer Brian Pfefferle was not involved in the case but has watched its developments closely. Pfefferle said it's vital for victims and their families to feel valued and respected. "This is an area, arguably, where people are falling through the cracks," Pfefferle said. "Maybe the system isn't equipped for victims as well as it should be." 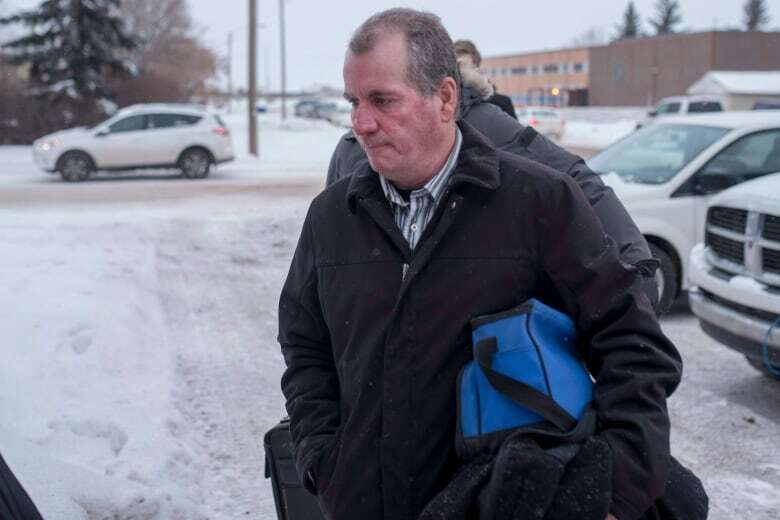 Crown prosecutor Bill Burge has not ruled out an appeal and has one month to make a decision.